Evaluate website. Work carefully through the pages on your existing website, identifying all of the types of content (standard pages, photo galleries, resource pages, etc.) and noting any areas that need special attention. Set up environment. 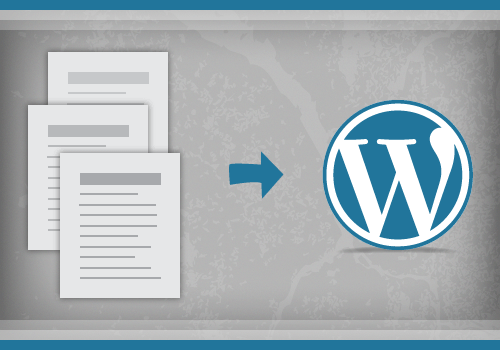 Set up WordPress and get ready to import. Import content. Bring over and organize your content, whether via an importing tool, manual entry (for a small amount, when no tool is available) or a custom importing process. Migrate design. 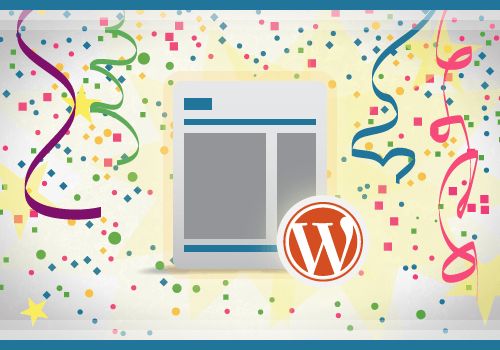 Incorporate your existing design into a custom WordPress theme. Review website, go live. Carefully review the import, making adjustments where needed, set up any URL redirects, and then go live. Update permalinks.. Go to Settings → Permalinks to make changes. In most cases, I’ll switch to “postname”-style permalinks. Update users.. I create an admin-level account for myself and any admin or editor accounts that are needed for clients and collaborators. I also remove the default “admin” user name if it exists (a basic but wise step for WordPress security). Form management. Migrating a form “as is” is usually a mess; simply recreating it using a forms plugin is usually easier. My current favorite is Gravity Forms ($39+ per license). Other options are Formidable (with free and pro versions) and Contact Form 7 (entirely free). SEO management. Search engine optimization (SEO) is a touchy subject. My philosophy is to build content for people, not for search engines. That being said, there is a common-sense approach to SEO that is solidly supported by the WordPress plugin ecosystem. And if your old website includes custom meta descriptions, giving them a new home during the importing process is important. I recommend WordPress SEO (free). Multiple languages. If your old website supports multiple languages, WordPress has you covered. My plugin of choice is WPML ($79 per license, free for non-profits). Another option is MultilingualPress (free). Security. WordPress security is a topic near and dear to me. 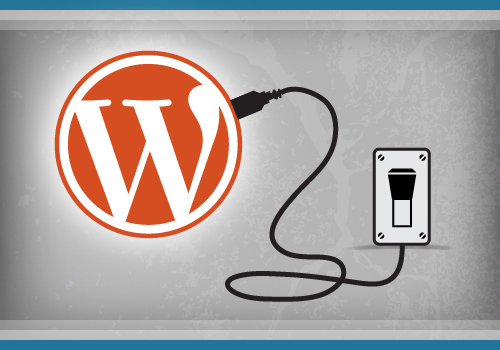 The increasing popularity of WordPress has made it a target for security attacks. WordPress itself is rarely the problem; a poorly secured hosting environment or an outdated or poorly developed plugin usually is. I use managed WordPress hosting for the majority of my projects, which offers a good foundation for solid WordPress security. Options include WPEngine, ZippyKid, Pagely and Synthesis. In addition to managed hosting (and especially if you opt for a non-managed host), consider installing a security plugin, such as Better WP Security (free) or Wordfence (also free). Last but not least, review the “Hardening WordPress” guide in the Codex. Backups. If you opt for managed hosting, backups are usually included (make sure, though). If you’re managing backups yourself or you want an extra layer of data protection, great options are available, including VaultPress ($15+ a month), CodeGuard ($5+ a month), BackupBuddy ($75+ per license) and BackWPup (free). Doctype. Make sure to carry over the same doctype. In this case, the original HTML already has an HTML5 doctype (a relatively rare occurrence on old websites). Using a modern doctype in a code base written for an older specification (such as XHTML or HTML4) could break the layout (especially in old browsers). Meta tags. I usually bring over the majority of meta tags as is, replacing them in WordPress. The exception in our case is the reference to the style sheet, which is being inserted automatically via wp_enqueue_style in the functions.php file. wp_head. Leave <?php wp_head(); ?> at the bottom of the </head> tag in the merged header file. WordPress uses wp_head, among other things, to enqueue scripts and style sheets that are referenced in the theme (usually in functions.php) and in plugins that you’ve installed. Without wp_head in place, most front-end plugins won’t work. body_class. Notice our use of the <?php body_class(); ?> tag. 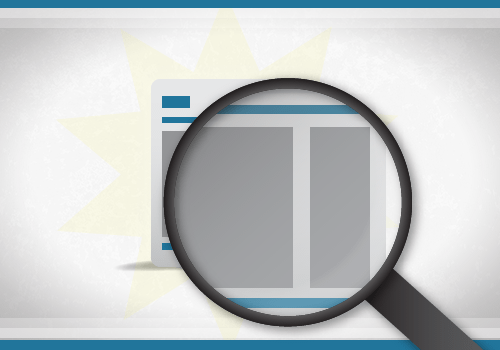 WordPress uses this to provide a series of helpful classes to the <body> tag depending on the page being viewed. In our example, the <body> classes weren’t being used. Yours might have unique IDs or classes on each page, in which case you can create a custom function using conditional tags to add the appropriate classes to the corresponding pages. Have a look at the Codex for some examples. WordPress menus. Switching to a WordPress-powered menu is one of the more complex tasks in most basic migrations. It will be fairly straightforward for us. We have a menu with simple markup that uses an active class (generated via PHP) to indicate which page the visitor is viewing. The wp_nav_menu function is highly flexible and offers built-in functionality to handle the current state of an element in the menu. I’ve updated the references in the style sheet to the active class and changed them to use the equivalent generated by wp_nav_menu, which is current-menu-item. Watch the screencast on importing content to see how I’ve set up the menu for our example. The loop. If you’re new to WordPress or programming in general, this piece of code in the #content container might look intimidating. The “loop” is code used by WordPress to display a post’s content. You can learn more about the loop in the Codex. Meanwhile, just make sure that it’s in there, or else the content you save in WordPress won’t show up. get_template_part. Our page template here employs the handy get_template_part function, which is a great way to keep content organized, especially in complex projects. Our website is simple enough not to warrant it, but I left it in just to show you. post_class. I also added a reference to <article> (with the corresponding post_class function) to make further customization of the design easier. Breadcrumbs. Breadcrumbs are relatively common on websites. The easiest way to reproduce them is with a plugin. My current favorite is Breadcrumb NavXT (free). WordPress SEO also offers built-in breadcrumbs. Widgets. If the design you’re migrating has a sidebar, you could either reproduce it as is (the migration theme has a sample sidebar in place) or integrate WordPress widgets to allow for a dynamically managed sidebar. The folks at Automattic have prepared a handy guide to widgetizing themes. Start there. Restricted content. In case some content needs to be restricted, WordPress offers basic password protection by default. If you want more control, use a plugin. For basic role management and content permissions, I recommend Members (free). For more advanced control (especially if payment is involved), consider Membership (which has basic and premium versions), s2Member (also free and premium) and WP-Members (free). Custom Post Types. Some migrations, especially ones with a lot of different types of content, call for “custom post types.” You can learn about custom post types in the Codex. To set them up, I recommend using a plugin. Two good choices are Custom Post Type UI and Types (both free). Broken links Make sure all links work as they should. If you have only a few pages, you can check manually. For an automated check, use Integrity (free, for Mac) or Xenu’s Link Sleuth (free, for Windows). Broken styles Occasionally, for one reason or another, a design element of your website might have broken during the migration. 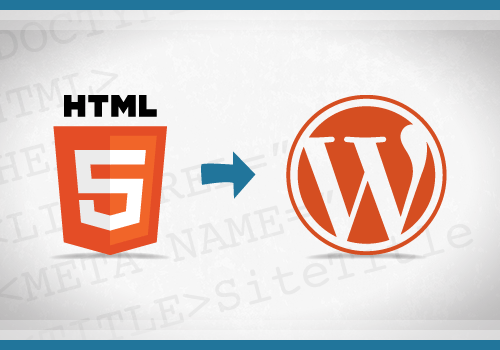 Carefully compare the old HTML to the new to make sure you haven’t missed any important code and that the corresponding style sheet rules have been carried over. If all else fails, a quick rebuild of the design element on the new website might be in order. Broken functionality Test any functionality that you’ve migrated over, such as “Buy now” buttons, contact forms, newsletter opt-ins, “members-only” content, embedded maps, media players, etc. Temporary links Depending on how you’ve carried out the migration, temporary links to a subfolder or testing domain might appear in your content or theme. You’ll want to update these before going live. Use the Search and Replace plugin (free) to check for and update links in your content.